This west London square was laid out in the early years of the reign of King George I and therein lies the clue to its name. King George I, formerly Elector of Hanover in what is now Germany, was the first king of the British House of Hanover, and had been invited to take the Crown after the last of the Stuarts – Queen Anne – died in 1714 without leaving behind any surviving children (despite the fact that she’d had 14 pregnancies and given birth to five live children, all of whom died before her). And so it was only logical – if not a bit sycophantic – that developer Richard Lumley, the 1st Earl of Scarborough – a keen supporter of the Hanoverian succession, named Hanover Square after the new king’s royal house. 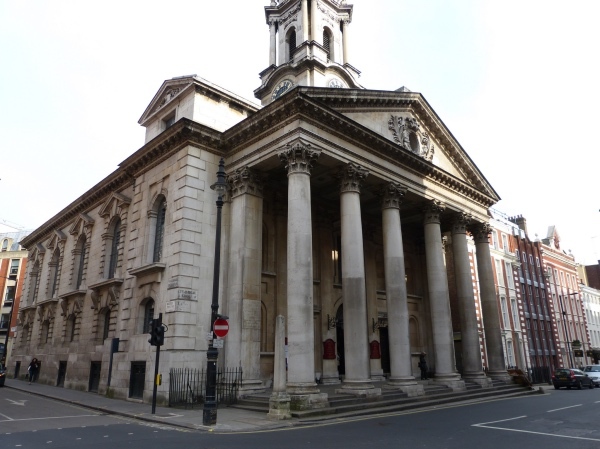 Thanks to the new king sharing his name with England’s patron saint, the nearby church was also named St George’s, Hanover Square (located just to the south – pictured below) as was the street that leads to it – St George Street. 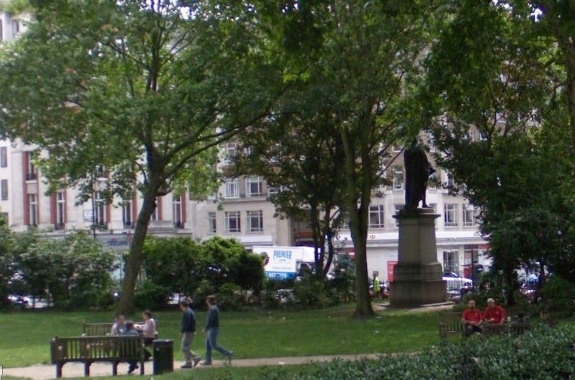 Early residents in this Mayfair square included military figures like the generals Earl Cadogan and Sir Charles Wills. The square, which features a central park, was also home to the renowned concert venue, the Hanover Square Rooms (later the Queen’s Concert Rooms) until 1900 when they were demolished (JC Bach, Haydn, Paganini and Liszt all performed here as did Mark Twain who spoke on ‘Our Fellow Savages of the Sandwich Islands’ in 1873). The square has been pretty comprehensively reconstructed since those days and is now home almost exclusively to offices including that of the UK offices of Vogue. Monuments in the square include a statue of former PM, William Pitt the Younger.